Welcome Ascending Beings of Light! We are here to help you achieve the absolute highest vibrational frequency in order to assist you in your alignment & integration into one unified body of light. This is done with the introduction of LIGHT energy into your being to assist in this integration. The mental body contains the thoughts that you have learned and carried over from other dimensions or lifetimes. The physical body, chosen by your soul to act as a vessel, manifests the energy in physical form to show you where your own perceived duality and karma reside. Energetically, all of these "bodies" communicate, and once you learn how to understand your own energy as it relates to everything as one energy, you will be able to work to clear & release at an expedited rate. In the beginning, your emotional responses are a reaction to your acquired belief systems. This will change as you clear, release and continue to bring in more light. You must learn to transmute this thought energy, karmic energy and dark energy on every level. 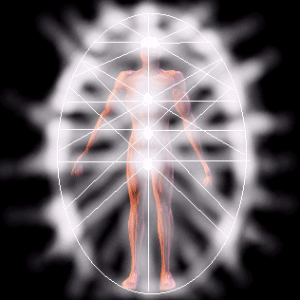 Light body energy transmissions are also being provided to assist you in expediting this process. Re-creation will occur if you commit to your soul and follow your higher guidance and heart in every exchange. Your soul chose this dual universe to transcend. Every part of your existence will change as you awaken and ascend on your own journey. Lightworkers have been awakened and brought forth to aid in the facilitation of this process. As you attempt to ascend, you will experience what you perceive as much upset. Everything as you understand your reality to be will change. For many of you, your reality as you previously knew it will cease to exist. In its place will emerge a new existence. One where duality is no longer. The conflict that you once knew outside of you will change as you learn to focus inward; for the duality you see outside is but a resemblance of what lies within. This is where the perception of pain and suffering resides. At the root of all conflict is love and fear. Resistance will be dominant at times, created by the chaos of your thinking mind. Your truth resides within your heart, and as it emerges, inner conflict will at times be overwhelming. For a time, while focus is still outward, others will be at fault. Then the anger, blame, guilt victim will emerge, and if you learn to listen to your heart, it will show you the way. We have imprinted in you "codes" that will unlock with each level of ascension that you experience. Many seek this on an intellectual level, through reading of books, in order to find their "soul", but avoid at all costs the necessity of FEELING the experience. This will prolong such things perceived as suffering. Your purpose is of the highest priority in order to facilitate healing on every level. As your heart continues to open, your purpose will become apparent. We invite you to open up to invite in light and allow yourself to release you from the pain and suffering of the "past". With this invitation we offer an opportunity to experience happiness and bliss on a level you cannot comprehend while operating in a physical world capacity. There will be times that you will have to choose. The first is to choose to step forward into light and let the dark fall away. If your heart feels drawn to a calling of something more, then open up to receive, seek with your heart and trust that you will never be given more than your soul chose for you to experience at any given time. The one called "Transcendence" is one such Bringer of Light. She is a light energy transmitter and holds keys with the ability to activate such codes. Her role at this time is to assist others in activation and integration of these processes. It is time for all to come together now for this same purpose. With this transmission of light we offer love and continued guidance throughout your journey into your soul. Awakening cannot be taught or learned, it can only be experienced. The only way is through the heart, which is the one place humans protect, wall-up, run from, avoid at all costs. Anything less is the ego creating duality to keep one from the expectation of the experience. To find answers and guidance, one must go within. This site is solely for spiritual and energetic purposes only. In no way is medical/psychological advice offered and one should consult the appropriate professionals with any questions of that nature. Additionally, much of the information on this site is channeled, and any information obtained by resources will be noted accordingly.